Dairygold Co Op held a very well attended sheep seminar in the Riverview Park Hotel Macroom, last night, Thursday 24th January. Over 75 turned out to hear advice from a panel of three speakers including UCD Professor Tommy Boland, Irish Farmers Journal Sheep Editor, Darren Carty and Dairygold Nutritionist Colman Purcell. Peter Varley Sheep specialist from the Irish Farmers Journal looked at the market opportunities for 2019 noting the positive trends for lamb prices with farmers securing €5.25-€5.30 /kg while fleshed factory fit lambs are selling over €120/head. Interestingly he reported on almost 1,800 flocks in Co. Cork with little change since 2010. Looking out into the spring he estimated less early lambs and lower prolificacy with some normal seasonal pressure on price but good market prospects overall. Peter Varley while very positively about markets for the next six month also outlined future competition from Spain and New Zealand and a possible Brexit effect as Britain is Europe’s biggest sheep producer. Colman Purcell, Dairygold Ruminant Nutritionist looked at nutrition for the pre-lambing ewe. Colman advised on the importance of using the best ingredients, especially around the quality of the protein and their effect on performance. Colman also noted that 2018 Silage Analyses from Dairygolds Laboratory are averaging 67.8 DMD and the importance of knowing the quality to manage flock condition score. 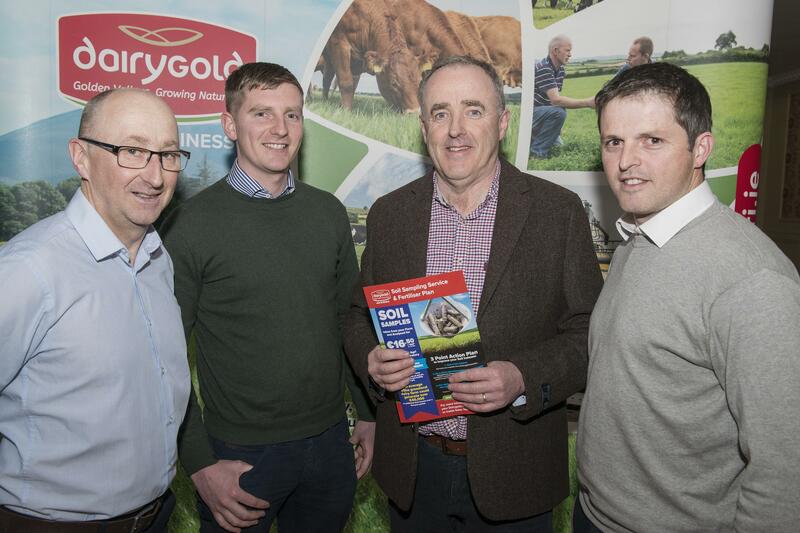 He concluded by advising farmers to ask their local Area Sales Manager for advice where needed or to contact Dairygold Inside Sales team on 022-31644.